● The route is covered. 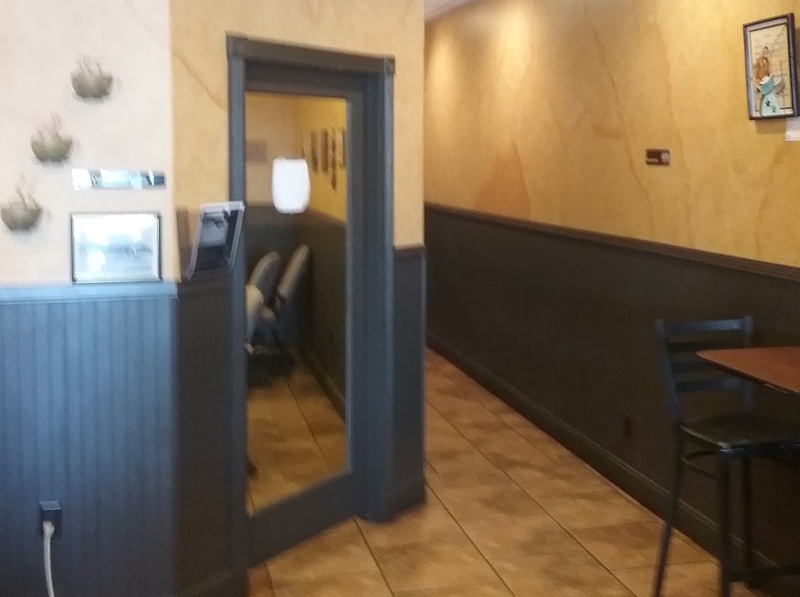 ● There are curb ramps and curb cuts where needed ● Daytime lighting is moderate and adequate for mobility and reading signs ● There is no designated passenger loading zone ● This business is located within the STA Service Area for Paratransit ● There are areas within the parking lot for service animal relief. Both accessible restrooms are located at the back of the shop. Users do not need to ask someone for a key to use the restrooms. There is a coat hook between 36” and 48” from the floor. All pipes under the sink are covered to prevent injury or burns. Lighting level is low, and is adequate for mobility and reading signs. Intersection: 29th Avenue at Regal St. There is no shelter or bench at this bus stop. Distance from nearest bus stop to wheelchair accessible entrance is 300+ feet. Route is at least 44 inches wide. Route has curb ramps and curb cuts where needed. Lighting level is bright in daytime, and is adequate for mobility and reading signs. Surface of route from bus stop to store has considerable slope, travels through parking and traffic area. Sidewalk on 29th is broken up in some areas. 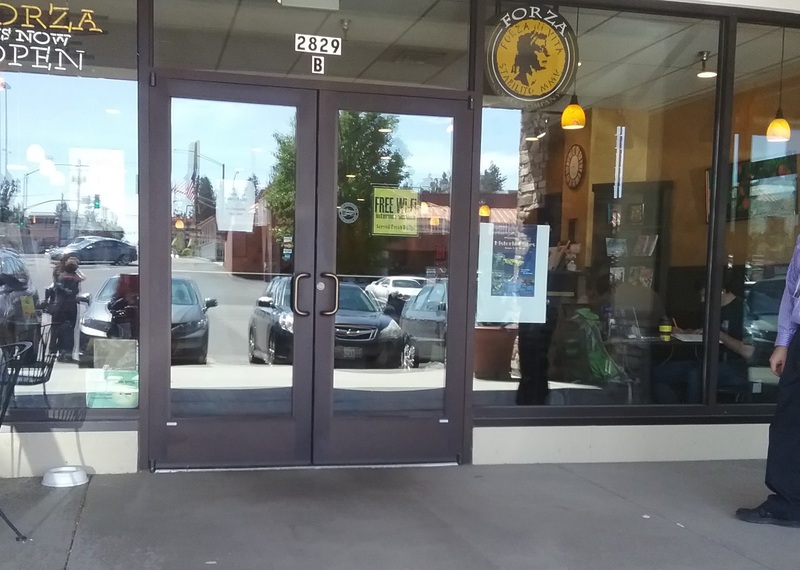 Other Pathfinders could benefit from your experience at Forza Coffee Company at Lincoln Heights.